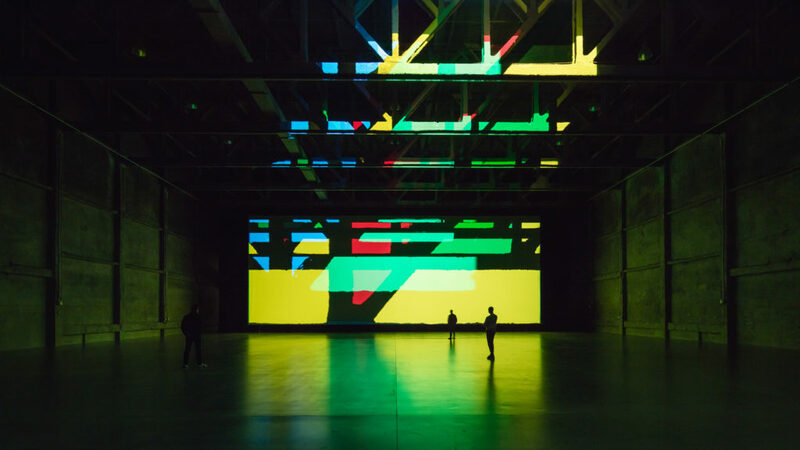 liminal soundbath returns to los angeles on the 9th of may, to co-incide with the visual element of reality projector – an art instillation by olafur eliasson. the marciano art foundation presents a live sound bath with jónsi, alex somers and paul corley. this meditative experience will take place in maf’s unique theater gallery, an expansive 13,000-square-foot space currently housing studio olafur eliasson: reality projector, an immersive light and sound installation. for this event, the visual element of reality projector will continue to play, while jónsi – who had collaborated with eliasson on the audio component of the exhibition – will join alex and paul in weaving a mesmeric spell, re-purposing sigur rós, jónsi & alex and other music to hypnotic effect. to heighten the experience, prior to the live sound bath lord jones pain & wellness formula cbd tinctures will be available to help attendees achieve a deeper state of transformation. tickets for the event are on sale from 1pm, april 25th via the marciano art foundations website. details about the event are also available via liminal’s facebook event listing.